Michael Arndt is set to write the screenplay for 'Star Wars: Episode VII'. The Oscar-winning writer - who is behind films such as 'Toy Story 3', 'Little Miss Sunshine' and 'The Hunger Games: Catching Fire' - has penned a 40-to-50-page treatment for the film and is likely to be at least one of the writers when the Disney film project begins shooting in 2014. According to Vulture, the studio's bosses want to bring back the three central characters of the original 'Star Wars', a much older Luke Skywalker, Princess Leia, and Han Solo. Harrison Ford recently admitted he is "open" to the idea of returning to the 'Star Wars' franchise. The 70-year-old actor - who played Hans Solo in the first three movies of the sci-fi franchise from 1977 to 1983 - would consider reprising his role in the recently-announced 2015 sequel. A source said: "Harrison is open to the idea of doing the movie and he's upbeat about it, all three of them [Ford, Mark Hamill and Carrie Fisher] are." 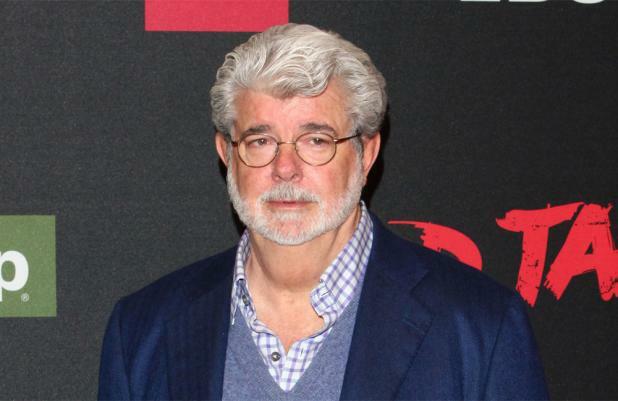 Disney announced its purchase of Lucasfilm, the company behind the movie series - helmed by George Lucas - last month, and has revealed plans for at least three more films following on from 2005's 'Revenge Of The Sith'.